Proxy advisor reaction to professional defense playbook "obfuscation"
Nelson Peltz, the activist investor, won the backing of an influential shareholder advisory group in his battle for a seat on the board of US chemicals company DuPont. Mr Peltz’s presence on the board may be “not simply desirable but necessary”, the proxy adviser ISS said, in a scathing critique of DuPont’s communications with shareholders. The existing board and management at DuPont are “more inclined to obfuscation than accountability” and used “sleight of hand” to flatter the company’s competitive strength, it said in a report sent to clients on Monday. The proxy adviser’s intervention has the ability to sway scores of institutional investor votes, in what is shaping up to be the most contentious fight of this year’s season of annual shareholder meetings in the US. Mr Peltz’s investment company Trian Partners has built a 2.7 per cent stake in DuPont and is arguing that the company has fallen behind its peers in terms of revenue growth and margins. Its prescription for change includes big head office cost cuts and consideration of whether the company should break itself up. 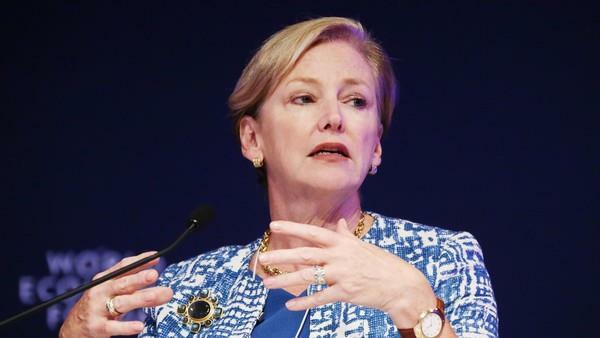 DuPont’s management, led by chief executive Ellen Kullman, says Mr Peltz’s presence on the board would be disruptive, and Trian’s plan would slash vital research and development spending. ISS endorsed Mr Peltz and one of the three other director nominees being put forward by Trian. ISS and other proxy advisers can swing more than a quarter of the votes at some shareholder meetings, although 30 per cent of DuPont’s shares are held by retail investors who do not receive their recommendations. DuPont has already been seeking to limit ISS’s influence by arguing the adviser is too close to activist hedge funds such as Trian. Trian did not immediately respond to ISS’s conclusions. With pressure from Trian mounting, DuPont in January said it was accelerating its own cost-cutting plans, which had been aimed at delivering a reduction of $1bn per year by 2019, but are now intended to save that much this year. Trian nominated four directors to the board in January. ISS supported Mr Peltz and John Myers, a former chief executive of GE Asset Management, but not Arthur Winkleblack, a former Heinz executive, or Robert Zatta, who runs speciality chemicals group Rockwood Holdings. The DuPont annual meeting is on May 13.